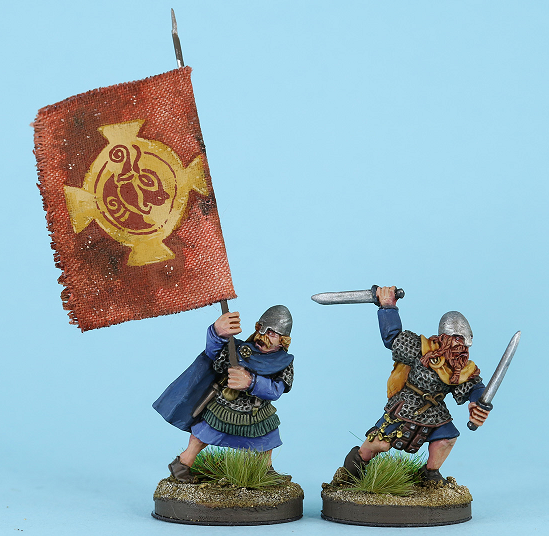 New Norse-Irish from Pontoonier Miniatures! The folks at Pontoonier love the Norse Irish of the Dark Ages. No, I mean really love them. Pontoonier’s crazy first foray into Dark Age Britain is a windfall for gamers. With nearly 80 28mm figures, there is just about everything any SAGA player could want. An aged Brian Boru leans on his trusted retainer to face his Viking doom at Clontarf. A battle-maddened Murchad prepares to dispatch Viking jarls in single combat before meeting his own doom. Scores of armored and unarmored warriors bristle for the fight. And, like the horrible reality of the Dark Ages, youths with slings and javelins prepare to skirmish with the enemy. The Norse-Irish are a fantastic amalgam of Scandinavian weapons and dress. 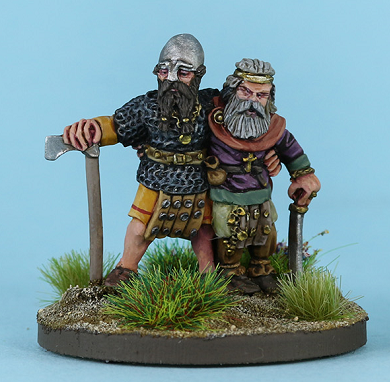 These figures are perfect to represent Irish adapted to the Viking way of warfare or Northmen gone native amongst the Irish. Pontoonier plans more dives into Dark Age Britain, so watch this space! This entry was posted on Thursday, March 28th, 2019 at 09:53 and is filed under News. You can follow any responses to this entry through the RSS 2.0 feed. You can skip to the end and leave a response. Pinging is currently not allowed.